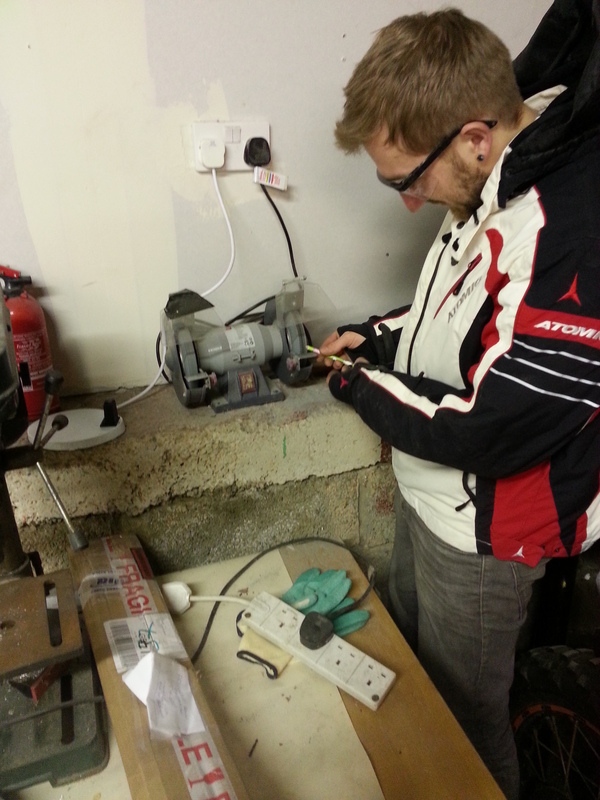 Sam came along last night to help out – always useful having another pair of hands .. lifted the port side onto a block to allow the wheel to spin freely so that I would check the brakes. These were made nearly 2 years ago (being one of the first bits I did) and the pulling of the lever seemed fine and stopped the wheel spin at about half deflection. I can now look at completing the cable run down through the leg from the heel kick bar.